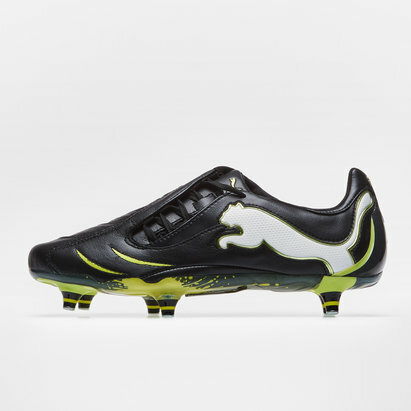 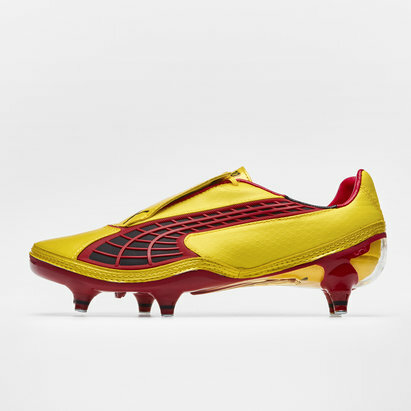 Puma have a long and established reputation for producing high performance footwear, as shown in emphatic fashion with the V1-10 SG Rugby Boots. 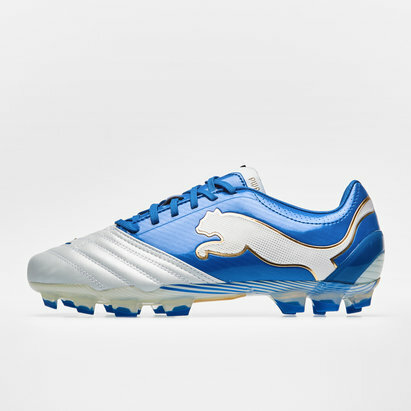 A sleek fusion of speed and comfort, the V1-10 weighs 259g (UK size 8) and features durable soft synthetics across the upper. 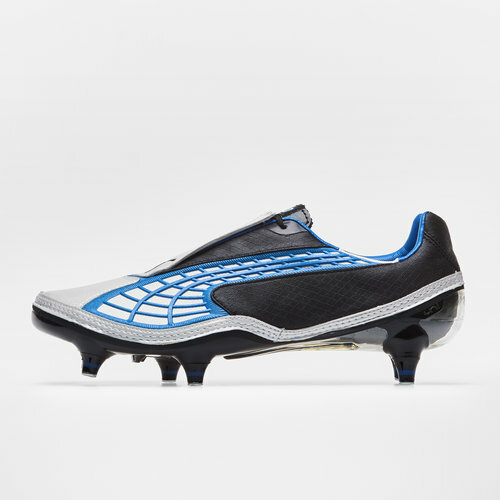 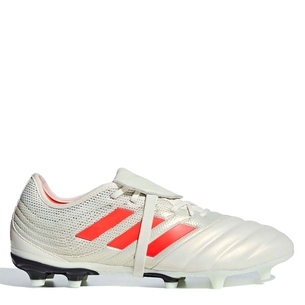 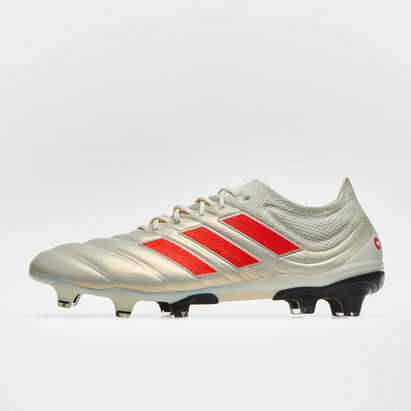 On first inspection of this boot, eyes are immediately drawn to the lace cover panel which provides a clean kicking area and enhanced ball contact so you don't have to worry about your laces interfering with play. 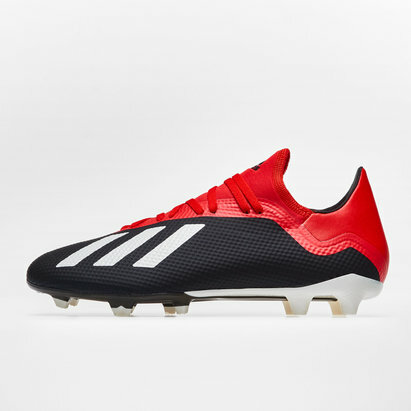 The introduction of a carbon fibre plate over the forefoot reduces stud pressure whilst the metal tipped screw in studs ensure optimum traction over soft natural surfaces. 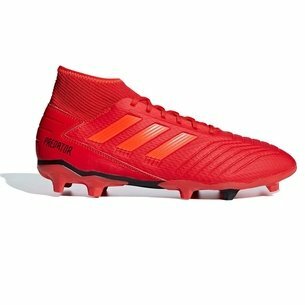 Whether used for training or saved for match days, these boots strive to deliver high performance for all levels of ability. 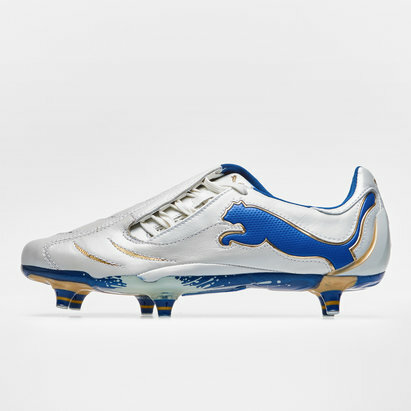 To brighten up your play, the striking white, black and royal blue colours deliver a winning look for players who like to stand out on the pitch. 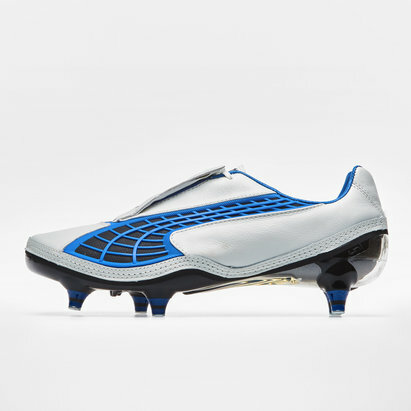 The colours continue to strike along the sole whilst the see-through window allows you to marvel at the carbon fibre inside the V1-10. 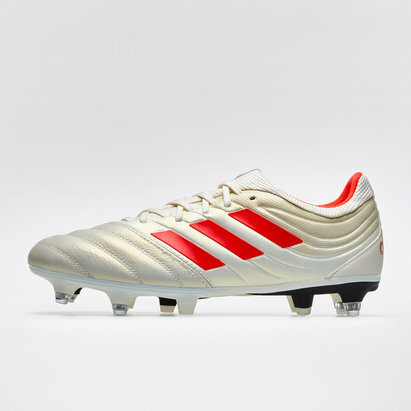 To help look after your prized assets, these boots even come with their own stylish boot bag.